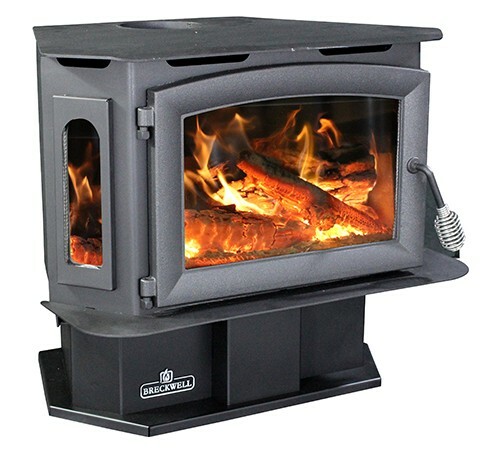 “Home is where the Hearth is.” A freestanding stove is one that stands on some kind of hearth, as opposed to being slid into a fireplace or built into a wall. 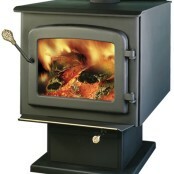 They burn wood logs, as opposed to gas or pellets. 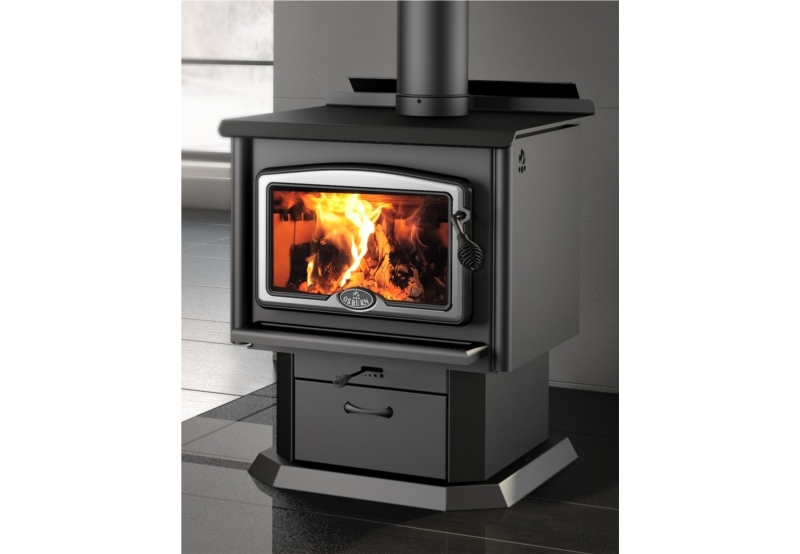 Napoleon Wood Stoves Napoleon’s deluxe pedestal EPA Huntsville™ 1100 wood burning stove features a solid, dynamic appearance and is designed to provide you with outstanding heat efficiencies while achieving low emissions. 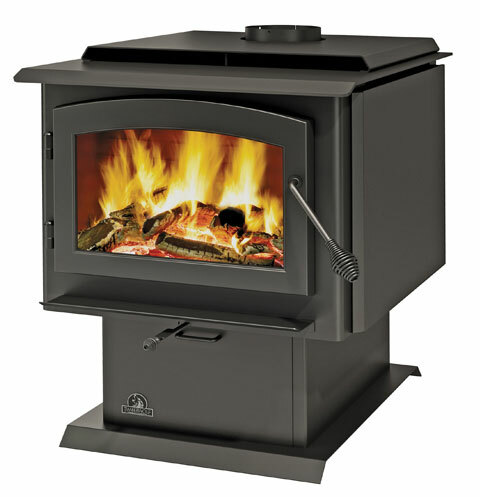 The Napoleon Huntsville™1100 wood stove comes standard with a painted metallic black trivet, painted metallic black louvers and an ash pan with a lid. Optional cast iron arched doors and trivets are available in a variety of finishes to match any room in your home. 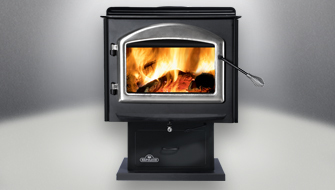 Osburn Wood Stoves Osburn’s 1600 Wood Stove with its perfect balance between power, efficiency and cleanliness, the Osburn 1600 wood stove is truly unique. Able to heat up to 1,800 square feet with a performance of 65,000 BTU/hr it is also environmentally friendly with emissions as low as 0.87 g/hour, well below EPA standards. 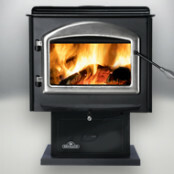 Breckwell Wood Stoves Breckwell’s SW180 is a highly-efficient non-catalytic wood stove will be a valuable addition to your home. This freestanding unit is available on legs or a pedestal, and features large bay-style windows for a great view of the fire from any angle. 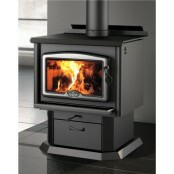 Flame Energy Wood Stoves Flame Energy’s NXT-1 is a high efficiency wood stove recommended for areas of up to 2000 sq. ft.. 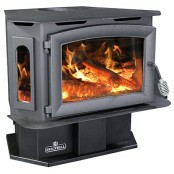 It comes with a metallic black freestanding pedestal. 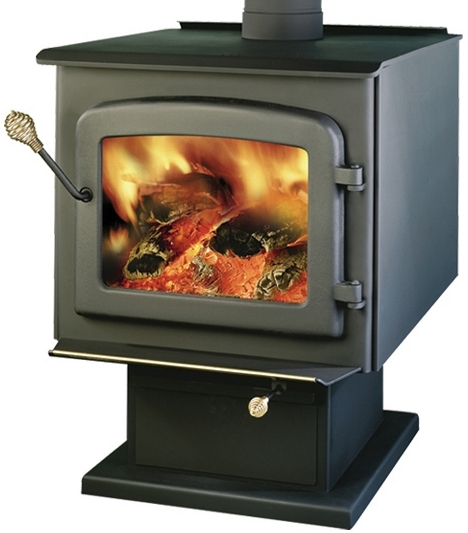 Timberwolf Wood Stoves The Timberwolf Economizer EPA 2300 Wood Stove, the largest in the series, provides a high area heat service and an economical solution to home comfort. A large viewing area provides a warm ambiance and the mesmerizing view of a flickering flame.